Though he doesn’t have traditional super powers like most of his friends, Batman’s got a lot going for him. He’s a handsome, rich, athletic white guy with virtually endless resources at his disposal. And yet, every so often, people come along who feel as if that’s not enough to make Batman a real superhero. Batman has been temporarily imbued with all manner of superpowers for various stories over the years, but the character’s always been defined by his ability to go toe to toe with heavy-hitting super people, despite his lack of natural super abilities. But that didn’t stop this week’s issue of Suicide Squad from wandering a little off the beaten track and once again suggesting that Batman might, just might be a meta human. Suicide Squad #22 opens with Amanda Waller running away from a shadowy holding facility somewhere in Alaska’s Denali National Park. Barefoot and terrified, Waller races through the forest in search of help until she find a highway and flags down a passing family in their car. The family stops to pick Waller up and give her a ride, and when they ask her what she’s doing in the woods in the middle of the night, she explains to them that she’s escaped from her kidnapper’s clutches and that she needs to go to the nearby Fort Wainwright army base. As she sits in the back seat, shaken and afraid, Waller recalls a conversation she had with her captor—the Russian Direktor Karla, who’s been secretly tracking the Waller’s Task Force X from afar in preparation to take them down. Though he’s taken her against his will, Karla says to Waller that, from his perspective, they both want the same thing: to protect humanity from whatever threats metahumans might bring. Though we first saw her desperately trying to get away from Karla, when Waller is eventually reunited with the Suicide Squad, she informs them that they have a new mission which echoes Karla’s feelings. The Squad is told that they all need to be prepared for the neutralization of two of the Justice League’s metahuman members: Killer Frost and Batman. The line comes quickly and goes unremarked upon, but it didn’t take long for DC fans to understandably assume that this might be the beginning of a new canon for Batman that introduces him to actual superpowers. But according to All Star Batman writer Scott Snyder, Waller’s calling Batman a metahuman is incorrect. 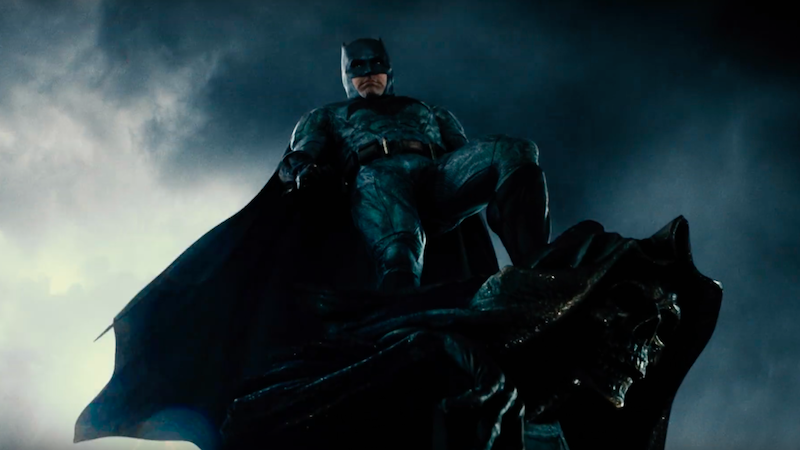 While his overall “awesomeness” might make him seem like a metahuman, Snyder reasoned, Bruce Wayne is still very much a baseline human who merely does a lot of CrossFit in his basement and dresses up like a bat. As cool as Batman is, there’s always something a little bothersome about people who argue that he’s just an everyday human who works very, very hard to do the things he’s able to do. His powers of deduction disappearing the moment people look away definitely seem like powers from time to time, and it stands to reason that Waller might honestly think that he’s able to do all of those things because of a meta-gene. She knows that Batman is Bruce Wayne, but she doesn’t necessarily know everything about Bruce’s biology. Regardless of what Waller does or doesn’t know, we can say with confidence that, for the time being, Batman is still a regular flatscan.